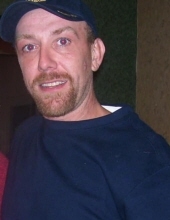 Phillip James Hellard, 45, passed away on Friday, April 12, 2019. A native of Frankfort, he was born on July 5, 1973 to Sylvia Prather Hellard and the late James E. Hellard. He worked for Sherman Hellard as a tree trimmer. In addition to his mother, he is survived by his children, Dillon, Phillip Jr., Shyannah, Ariannah, and Briannah; his sisters, Phyllis Darnell, Marilyn Hellard, Jamie Reeder, and Kimberly Dawn Hellard; as well as several nieces and nephews. In addition to his father, he was preceded in death by his sister, Sue Carol Woods. Services took place at Cove Springs Park. To send flowers or a remembrance gift to the family of Phillip James Hellard, please visit our Tribute Store. "Email Address" would like to share the life celebration of Phillip James Hellard. Click on the "link" to go to share a favorite memory or leave a condolence message for the family.